If you were recently involved in a car accident and the Pearland Police Department was the reporting party, you can obtain a copy of the car accident report. 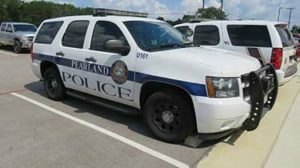 A Pearland police accident report (also called a crash report) plays a crucial role when it comes to filing a claim after sustaining injuries or damages following a car accident. You may choose to request a copy of your accident report in person. You will need to head to the Pearland Police Department which is located at 3519 Liberty Dr. Pearland, TX 77581 (directions). When you arrive you will need to present your case number and any additional information. Typically, police accident reports can take up to 10 business days before they are available, so be sure to give them a call at (281) 652-1600 before heading down there. We’ll get your Pearland Car Accident Report for you. You may also request a copy of your car accident report through the mail. To begin, simply write a letter requesting a copy of the car accident report. Next, you will need to include the case number and any relevant information pertaining to the car accident report. Obtaining a copy of your car accident report is also available online. You can request a copy here.